The political poster explosion of July 1936 has been highly acclaimed by critics and scholars worldwide. One of the best-known posters of the time, “Freedom!” – which has acquired near cult status – shows a peasant holding a sickle aloft, set against the anarchist red-and-black flag. The artist, Carles Fontserè, was just twenty years old when he joined the revolution along with fellow artists and comrades-in-arms, Josep Alumà, Helios Gómez, Antoni Clavé and many others who appear in this account. In his outstanding memoirs, which are more artistic, political and collective than intimate, Fontserè recounts his upbringing in a petit bourgeois family with Carlist leanings along with his experience in the Barcelona Requeté. His thirst for reading led him to the writings of Tolstoy, which inspired his nascent libertarian ideals culminating in his road-to-Damascus transformation during the heady events of the Nationalist military uprising in Barcelona. Fontserè played a key role in the founding of the Professional Drawing Union in 1936 and went on to draw posters for the Iberian Anarchist Federation (FAI) and the Workers’ Party of Marxist Unification (POUM), among other political parties. He served with the International Brigades and, paradoxically, survived several close brushes with death from his own side. His story culminates with the Republican retreat from Barcelona and his escape over the Pyrenees, together with Catalan president Lluís Companys and his cabinet, into exile in France. 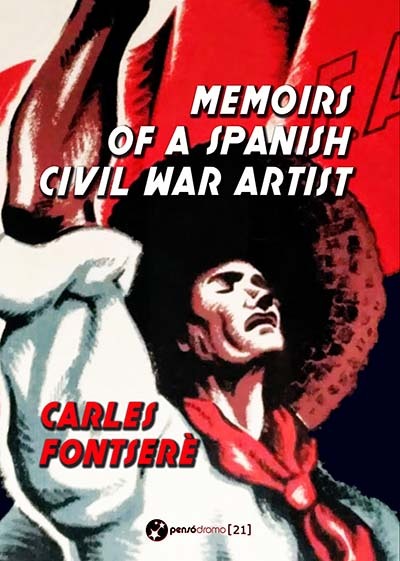 Fontserè’s Memoirs of a Spanish Civil War Artist masterfully combines autobiography and history through the eyes of one of the 20th century’s foremost Catalan graphic artists, known worldwide for his Republican propaganda posters. Against a backdrop of Barcelona’s pre-war cultural scene, we follow the founding of the Professional Drawing Union in Barcelona in 1936; Fontserè’s first-hand account of life on the front line at the Battle of the Ebro, where he saw action with the International Brigades; the political strife within Republican Catalonia; and his dramatic flight across the Pyrenees into exile in France. The result is an intelligent and perceptive portrayal of a crucial period in contemporary history.